Take it With You: Spin + Weave On-the-go for WWKIP Week (& Beyond)! 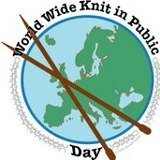 Worldwide Knit in Public week kicked off this past Saturday; it's the worlds largest event run by knitters and is a great way to meet your fellow fiber enthusiasts within your own community! We don't see any reason why knitters get to have all the fun, however - why not spin or weave in public this week, too? There are a variety of small looms that are not only user-friendly for beginners, but they are perfectly portable for weavers on-the-go. You may remember the old-fashioned potholder looms from your childhood; they are great for whipping up colorful projects quickly. 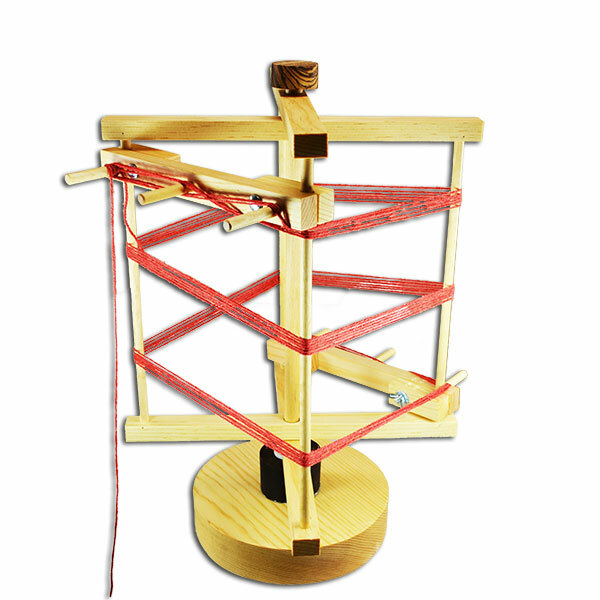 There are several other types of peg-style looms which can be used to create woven items using a tapestry needle and some yarn. Rigid heddle weavers may want to turn the time-consuming process of warping their loom into a real conversation starter at their local WWKIP event. Jim Hokett's handmade Mini Warping Reel is a shop favorite that's handy, not to mention high on the "cute" factor. Be prepared for lots of weaving questions when you take this on your next public weaving adventure! Have you ever thought about spinning in public? Many wheels are designed with the traveling spinner in mind and feature built-in handles and foldable parts for ease of transportation (and, of course, you can always purchase a padded bag that's made for your model). However, if you'd prefer not to take your wheel when you're out and about, consider packing a drop spindle for your next fibery outing! 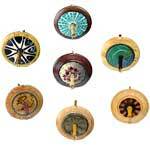 If you are normally a wheel spinner, this can be a great time rediscover the joy of spinning with a drop spindle!